Once upon a time, Indian customer had the complaint about the step-motherly treatment of Royal Enfield as it used to launch new products overseas grossly ignoring the domestic market. While, the 500cc bikes in EFI and twin-spark variants are in good demand abroad, the 350 models had to stop selling due to stringent emission norms abroad. Now they have decided to introduce a twin-spark set up with the smaller 350cc engine codenamed as TBTS or Thunderbird Twin-Spark. TBTS is a winsome bike which would give us a delightful riding experience. The new model was launched in 2008 in Chennai and it operated on the UCE (Unit Construction Engine) coupled with the twin spark that churns out high power and torque with fuel efficiency. 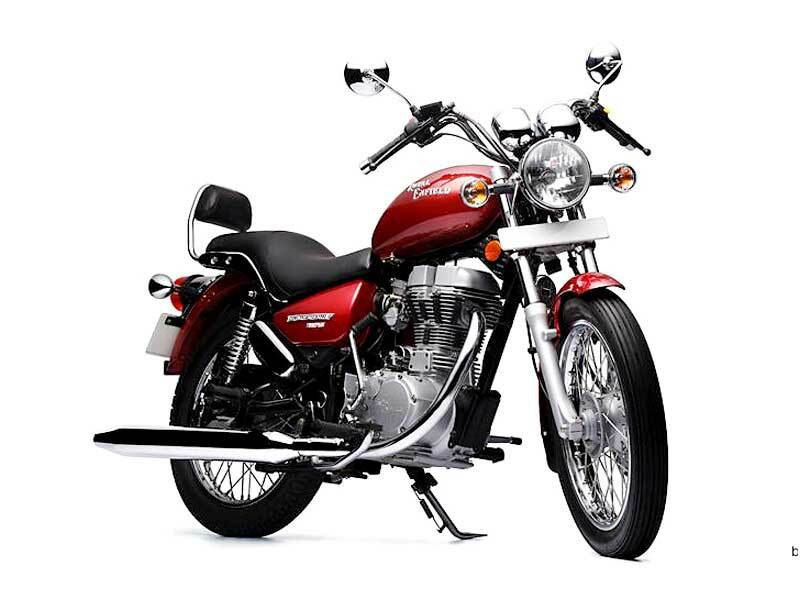 This high end bike is known for technological advancement and environment friendly qualifying the stricter emission norms. Thunderbird Twin-spark depends on the 350 cc UCE engine. The engine produces 19.8 bhp @ 5250 rpm maximum power and 28 Nm @ 4000 rpm maximum torque. 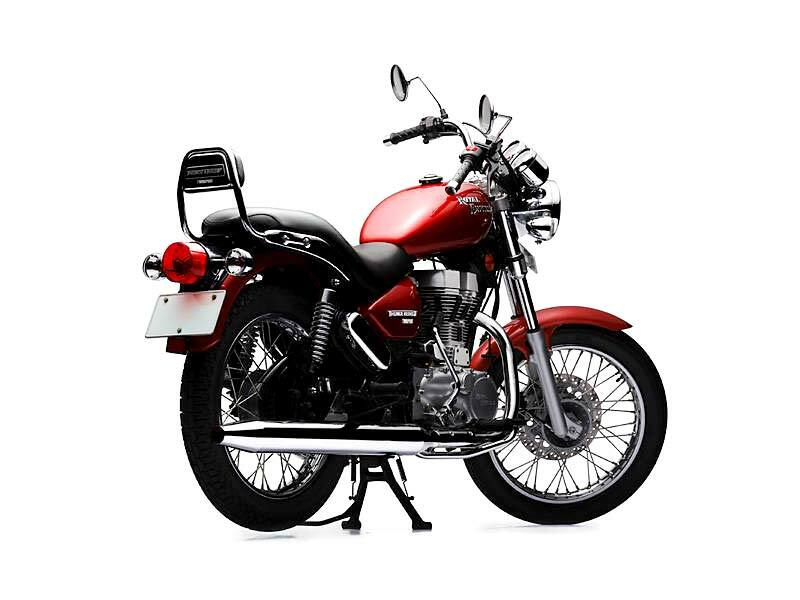 The new engine of Thunderbird Twinspark is featured for efficient combustion that uses the hydraulic tappet and it helps the bike to have zero clearance of pushrod with optimal valve timings. The bike is equipped with an auto de-compressor that gets activated at 250 rpm and helps the rider to start the engine without much effort. Thunderbird Twin-spark comes in different shades of color with many striking features. The twin pod instrument cluster is placed with speedometer, RPM meter, odometer, fuel gauge, trip meter and the instrument panel is blue black in color which remains clear even in sunlight. Thunderbird Twinspark has the electric motor starter placed on the inner side of the engine and it helps the bike to have low wear and tear in mechanical parts. There are six clutch plates to reduce effort required for controlling clutches and riding is easy. The twin spark badges can be seen on the side flanks and twinspark decal is found at the rear of the bike. It has multi focal reflector to do the job of easy tracking. It is a good looking standard bike suitable for the long distance travels. The high density ergonomically designed seats are very comfortable and serve a wonderful ride. The brakes are very quick and appropriate for the long distance journey. The 19 inches tyre and gas charged suspension are meant to restrict vibrations even in high speeds. Kick lever appears to be a blotch in this cool looking bike and is placed unfriendly with the user. In crowded areas, it becomes bumpy when we have to arrest clutch regularly. An oil window is also provided to check oil levels. The bike now sports a better life halogen lamp than the formerly regular ones. Thunderbird Twinspark has the UCE features which would enable to pump oil at high pressures and give proper cooling to increase fuel efficiency. The new and much improved T'bird is definitely faster, smoother and more efficient than its earlier version. By shifting the brake linkage to the right side, the rear braking too has been sorted out. It comes to a halt from the top speed with good stability. But it is not so when we try to change the gear in the crowd now and then. 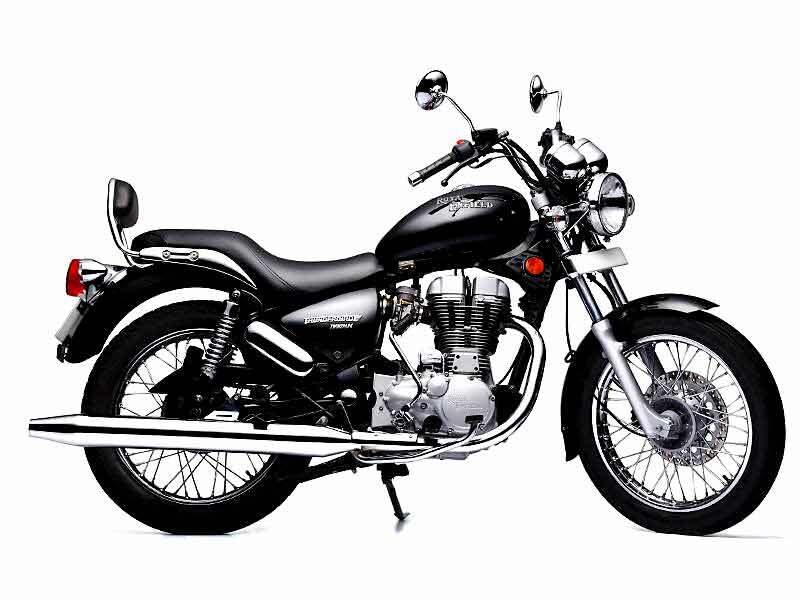 For a royal ride, Royal Enfield Thunderbird Twin-Spark is the best buy. Apart from its comfortable driving, it also saves money delivering a mileage of 30-35 kmpl. Thunderbird Twinspark is available in three monotone colors: Silver, Red and Black.